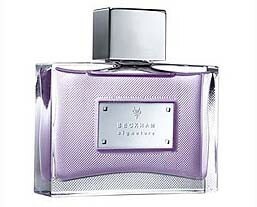 Beckham Signature Man is fresh woody scent underlining elegance and masculinity. Top Notes: A modern boost of freshness raising from the marine air vibration accord in association to the luminosity of mandarin and watermelon. Middle Notes: An energetic masculinity blending the vigorous elegance of Living lantana and cypress with the spiciness of juniper berry. Bottom Notes: A sophisticated complex of sensuality born from the magnetic blend of luxury moss, white amber and charismatic patchouli. It is recommended for evening wear.